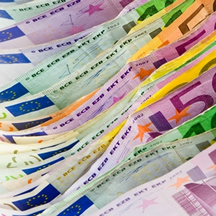 The continued slowdown of the Eurozone is forcing the European Central Bank (ECB) to plan for a €1 trillion stimulus programme which will increase the value of bonds and reduce the yield sending annuities lower for several years. 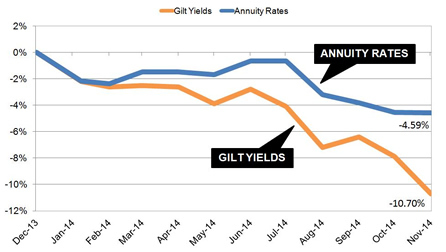 Annuities are based primarily on the 15-year gilt yields which have reduced from a recent high of 3.47% in December 2013 to a low for the year of 2.32%. This is a drop of 115 basis points and we would expect annuity rates to reflect this and reduce by 10.70% yet annuities are lower by only 4.59% suggesting there is another 6.11% of possible falls. The ECB is likely to buy sovereign bonds including German Bunds although due to Germany's budget surplus these are in scarce supply. There is concern 10-year Bunds yielding 0.78% now will see this reduce to lower levels than Japanese 10-year bonds at 0.45% spilling over to over countries with lower yields globally. With the risk of a triple dip recession increasing in the Eurozone and Germany's economy slowing down the ECB is close to starting quantitative easing. It is likely to begin with €500 billion of asset purchases in the first round of stimulus and since the summer investors have been anticipating the inevitable with bond and gilt purchases. The above chart shows how the 15-year gilt yields have reduced and are now 10.9% lower than the recent high in December 2013 although annuity rates have reduced by only 4.59% suggesting further falls are likely, possibly by up to 6.11%. In particular yields have started to fall rapidly since July as the ECB has attempted to tackle the issue of Eurozone economic slowdown and the risk of deflation. After funding banks with cheap loans to show Germany it is doing everything it can to reverse the fallout from the financial crisis, the ECB is preparing an extensive bond buying programme that could eventually include corporate bonds and sovereign debt buying. Some analysts think this could occur as early as December 2014 for corporate bonds and February next year for sovereign debt. As German economy is in surplus there is a scarce supply of Bunds available to buy. A quantitative easing programme would require the ECB to purchase Bunds as part of any stimulus plan involving sovereign debt and this would force prices for 10-year Bunds higher and yields lower. Current yields are 0.78% and this is very likely to drop below the ultra low Japanese 10-year bond yields at 0.45%. In the UK investor activity in buying government bonds and gilts is occurring in anticipation of the ECB quantitative easing programme and it is likely to send annuity rates lower. As with the Federal Reserve stimulus programme, 15-year gilt yields and annuity rates will fall once the ECB start quantitative easing and this may be at a time in spring 2015 when the UK government finalises the new pension rules. 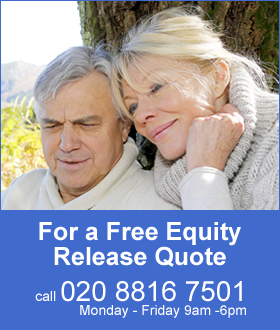 Many people have delayed making a decision about their pension fund due to the changes in the Budget so there will be more people than normal with the dilemma of making a decision with lower than expected annuity rates. pension drawdown using a protected growth fund until the ECB stimulus plan ends sending annuities higher in two or three years.